Amazingly delicious! I followed recipe exactly and the flavor is delicious!!! Never had chili with red wine in it. 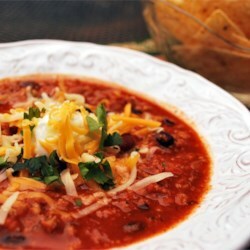 A fun variation to my regular chili. Will definitely make again!